# You can enjoy the Addictive Game with your friends NOW! 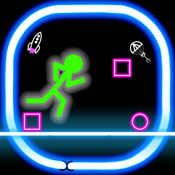 Quickly jump over and slide through obstacles, as fast and as far as you can within a Day. Try to beat your friends,and record a higher score on various tracks. - Really challenging and Simple! Thank you very much for all your support and interest in our games!